This week is Carnival all around the world and Mardi Gras in New Orleans, Louisiana. Historically, the tradition, which dates back to Medieval Europe and French aristocrats relates to the day or days before the penitential Lenten season when people partake in revelry and debauchery to get it out of their system before commendint the 40 day period of mourning, fasting and praying. The festivities have evolved to include brightly colored floats in Brazil and bands in primates, beaded and bedazzled coordinated costumes there and all over the world! In year’s past, I dubbed Wednesdays “Bump Day” and used it to highlight a creative pregnancy art or a model to feature. 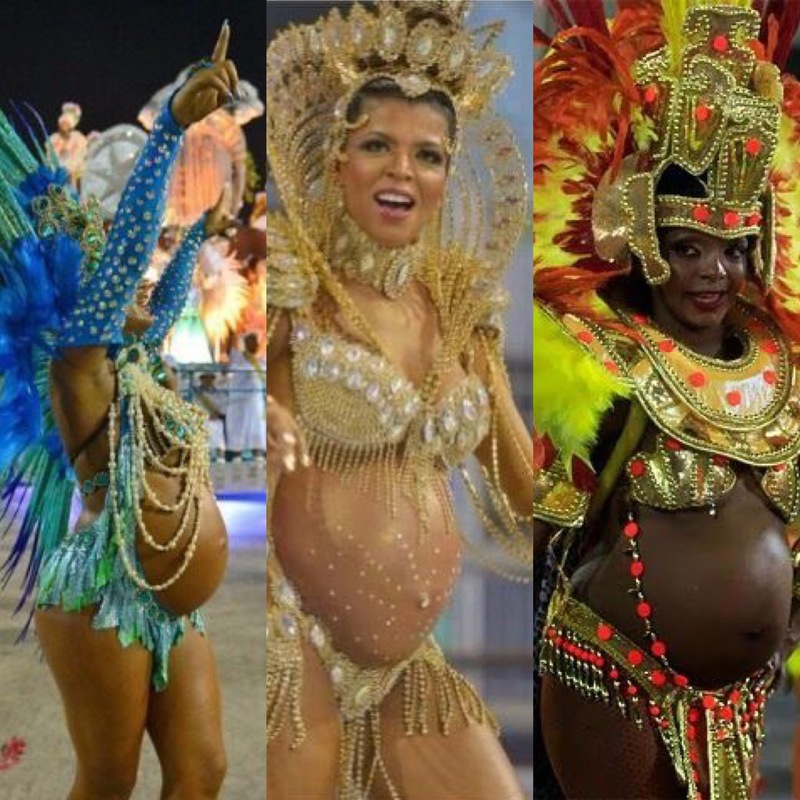 In the above collage are images of heavily pregnant who chose to put on her beads and feathers anyway and challenge Samba queen or wore a Frontline costume!